Weather open API is useful when you start developing Android weather app. Such kind of apps is common in play store. Moreover, Weather app and widgets are one of the most downloaded apps. When you decide to develop weather app, it is necessary to use a weather provider that providers weather API to get weather information. 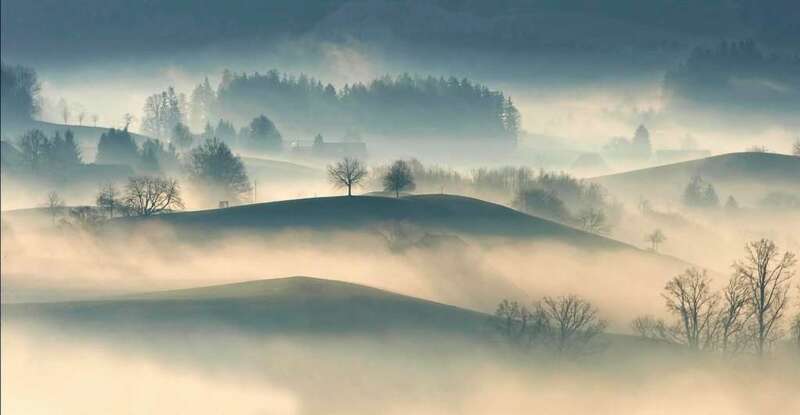 These weather providers expose a set of services or, in other words, a set of open API that supports RestFul Webservices. Most of these services accept XML or JSON data. It is important to know the service features before selecting the right provider according to our needs. 1. consider if the Android app will be free or not. According to this, it is possible to select the right weather provider because some features may be not free. 2. estimate the number of calls your app will make. There are Weather providers API that limits the number of calls to their services if you select a free plan. So consider carefully the right weather provider to use, and usually, it is not so easy to change the client code once is developed. In other words, the client is tightly dependent to the weather API, so if you change the API you have to re-implement your client. To make easier the process of selecting the right Weather provider according to your needs, I compiled, below, a list of weather providers that I used and tested and that provide open API to access to weather information. This list can be useful if other developers want to develop an Android weather app. This is the first provider I have ever used and this is my preferred one. Openweathermap gives current weather information and forecasts. It is very simple to use. Openweathermap weather API uses JSON data to exchange data. The weather API returns current weather, forecast, historical weather information and weather station data. Moreover, it has also UV index data. How can we get weather information for a selected location? Openweathermap provides different two modes to look for a city. One uses name pattern and another using geo-coordinates. 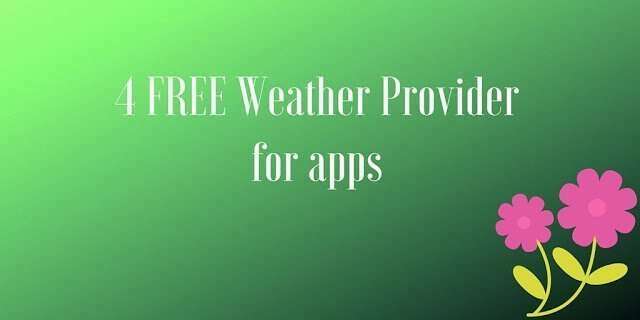 I developed an Android weather app based on Openweathermap and you can look at my other posts to know more how to develop in Android this app. All these API are free to use, you have to create a dev key so that you can make requests. Yahoo! Weather is another great weather provider that is also very simple to use even if it gives less information than Openweathermap. Using Yahoo! Weather, the app can get current weather information and forecast. The API are based on JSON or on XML, so the developer can choose which one to use. It is free service as long as you use your app for not commercial use. Read Yahoo! Weather policy to know more. If you like to use this provider in your app, you can look at my post describing how to develop an Android app with Yahoo! weather. Weather Underground API is a great weather provider that offers a lot of API to get many information. Weather Underground API provides current weather and forecast. Moreover, you can retrieve historical data, hurricanes, astronomy data (like moon data) and so on. To find the city, it is possible to use name pattern, geo-location. The service is free as long as you do not make to many requests, so, in other words, if you use it as a developer to test the API it is ok otherwise you have to pay. Forecast.io is another interesting weather provider that offers current weather information: forecast and hour by hour weather details. It worths to give a look because it is very easy to use and provides already a set of library for different languages. Finally, some words about showing weather conditions on a map like Google map. Personally, I used just Openweathermap and it is quite easy to add wether tiles. If you are interested i wrote a post about how to add weather information to google map. ApiXU provides a set of free API to get realtime weather condition. Moreover, it provides API for historical weather and hourly forecast. An interesting feature, it is the several libraries for different programming languages. This article wants to provide a list of weather open API that you can use when building your Android apps or other kinds of projects. There are many other weather providers but most of them have paid services and I did not have the chance to test them. You can use these open API weather to build and test your Android app. It’s an amazing paragraph for all the internet visitors; they will take benefit from it I am sure. Yahoo was great until they changed their api two times and now many people have problem figuring out how to use the new api. It is time to use another api. Most people use weather apps to get information about whether. in technological world people want to use that type of whether apps which should provide them proper information. for this it has become necessary that apps should be update in new version time to time so that these can more popular. the given four weather provider API are seeming very useful to develop weather apps. The best thing is that these are free. I will definitely use Openweathermap because it is seeming very useful than others. My intent was giving to the reader a group of weather provider with FREE API ready to use. I think OWM is a greet provider with interesting features and i used it in several posts explaining how to get different information types. It’s really a nice and useful component of info. as this. Thank you for sharing. Neat API with easy documentation. You should definitely include https://www.weatherbit.io/ on this list. Easy to use, no daily limits. The free tier allows up to 45 calls/minute (which works out to be over 60,000 per day). We’ve got the first microweather API, which has a free version as well as an enterprise version. The free version provides historical, Real-time, and forecast data, and the following weather parameters, up to 1000 calls a day.